Club football might be taking a break for a couple of weeks, but there is no breather for Jose Mourinho, as his phase of troubles keeps on growing thick and fast. What might have been the last game for the Manchester United boss against Newcastle turned out to be a sensational victory instead, buying him time at the helm and a temporary pause to all the critics bombarding his worth. However, while there are no worries on the field at present, the Portuguese has to face them off it. The manager is set to go under investigation and face a possible ban after an incident on the touchline. When his side pulled off a dramatic comeback and sealed an unlikely win, the emotions got to the Old Trafford boss as he walked off the pitch. It is assumed that while applauding the fans on the way out, the camera caught Mourinho swearing in Portuguese. The literal translation, after inspection from online suggestions and the experts of the language, comes to him saying, “F*** off, sons of b*****s”. The FA is yet to officially take action against Jose, and will only do so after thorough investigation of the incident. 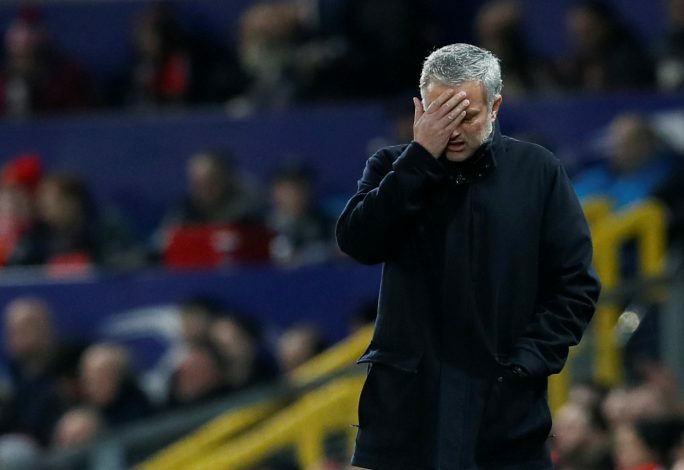 Getting out of problems is an art Mourinho has mastered over the years, and after the win against Newcastle extending his stay at the club, can his image and experience in the game save him from some serious action? The players of Manchester United are with their respective countries for International duty at the moment, and on their return, they face the likes of Chelsea, Juventus, and Manchester City, all within a month. Tough times now and tougher times ahead for the club and their current manager.